Ever wondered how long you have until some event in the future? 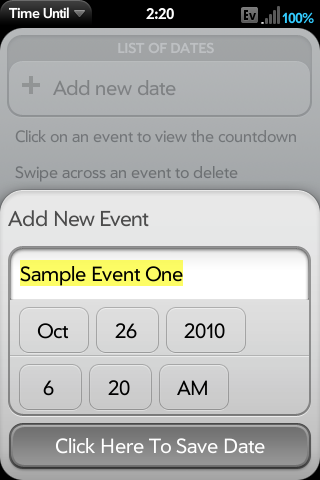 Time Until is an app that shows you just that - the time remaining until some event! - Allows for the creation and storage of events across sessions! 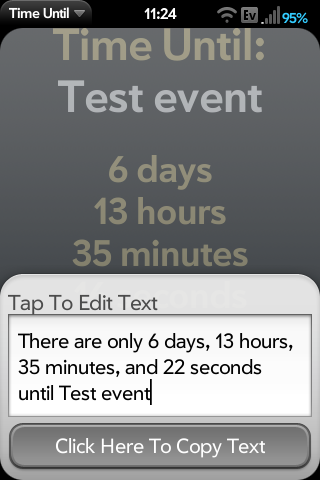 - Quick buttons to send the time until an event as a text message or email!